I came home from attending the second annual BookBaby Independent Authors Conference in Philadelphia. I met wonderful fellow writers, listened to practical book marketing tips from successful authors and entrepreneurs, and took away many ideas I am anxious to try. In this post, I would like to share some of the great ideas I learned at the conference. Fill out your Amazon Author Page completely and link it to your website and blog. Run a discounted price promotion and advertise it widely. Study the competition. Make a list of all the current books similar to yours in the last three years and find out their book prices, format, and number of pages. How are authors of your genre promoting their books? Show gratitude to readers who have taken the time to review your book. Tieshena Davis is the CEO and Senior Publisher of the award-winning Purposely Created Publishing Group. She is a speaker and the author of Think Like a Bookpreneur (www.thinklikeabookpreneur.com). Tieshena encouraged authors to begin selling their books with pre-sales, which is a strategy to establish audience interest, connect with fans, and secure advance sales before a book is publicly released. Authors need to meticulously plan during the pre-sales process (6-8 weeks before book is released) to achieve results. Set a goal of how much money you the author would like to make. Remember to calculate all expenses (costs of the printing, transaction, shipping, packaging, etc. ), and review the profit margin. Authors need tools to drive sales such as an email notification list, creating a promotion team, alerting social media followers to spread the word, and exploring targeted events where your readers gather. Notify target buyers on an email notification list that the book is available for pre-order. Build an audience connection by sharing quotes, tips, or resources; host weekly virtual events; email teaser content; offer special bulk book packages; and send out snippets of the book. Run ad campaigns on Facebook, Instagram, and Amazon Author-sponsored ads. Discount and cross promote. An example is if readers pre-order author’s second book, they will get the first book at 50% off. Run weekly contests and giveaways. Change your mindset– don’t think of yourself as a struggling author. Write down positive affirmations and refer to them daily. Authors must focus on the customer. It’s not about you, it’s about the reader. What do they want to pay for? Find the intersection between what you love and what you can sell. Amazon is a search engine for people “who buy stuff.” Use it for research to find out what people are buying. Sell your book in multiple countries in English. 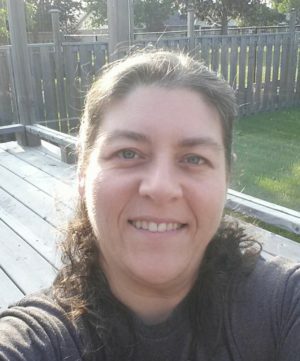 Joanna’s books have sold in English in 86 countries through Kobo (a Canadian company that sells e-books, audiobooks, e-readers, and tablet computers). Write three shorter books rather than one 80,000-word book. This works well in fiction. Build multiple streams of income. Most writers make money from other sources like speaking, freelancing, and blogging. Attract an audience that works best with your personality, your book, and your lifestyle. What can you do consistently over the long term? You get what you focus on. Make the time. Write the best book you can. Don’t rush it! As one can see, being a successful author involves hard work; there are no shortcuts. Research, computer savvy, and knowledge of various marketing strategies are imperative. Writing the best book you possibly can is simply not enough. The experts advise doing around twenty minutes of marketing a day along with writing. If one marketing strategy doesn’t work, try another. Don’t give up. 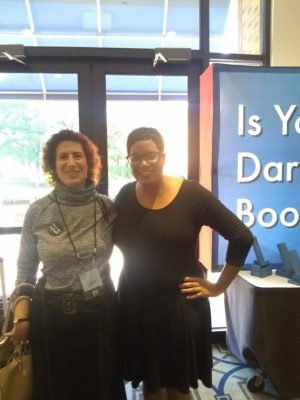 The BookBaby Writers Conference boosted my motivation to market my first novel, True Mercy. It was great meeting so many like-minded people. Rather than being competitive, participants were eager to help fellow authors succeed. Networking opportunities abounded. Last but not least, I would like to thank my husband Michael for attending the conference with me and supporting my efforts in the book business. Note: My novel True Mercy is on sale for only 99 cents on Smashwords. Go to https://www.smashwords.com/books/search?query=True+Mercy. Ask a question and listen to the answer. Introduce yourself with eye contact. Listen to their responses and introductions. If they resume the conversation, listen and respond. If they don’t, ask questions and start another conversation. Swap business cards and provide a reason to follow up. If needed, make an excuse such as you must make a phone call or use the restroom. Then leave the room temporarily so they see you are credible and not just want to get away from them. Don’t forget to mingle! You’re there to make connections. At the same time, take breaks so you can recharge. Before you know it, you’ll be making connections! 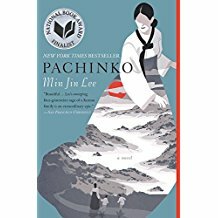 When I began reading Pachinko by Min Jin Lee, I initially thought this was the best book I have read so far this year. I had planned on writing a stellar book review. A National Book Award finalist, it tells the story of an impoverished sixteen-year-old girl named Sunja in 1930’s Korea. Sunja has a relationship with Hansu, a wealthy, powerful, older businessman who frequents her region. Sunja naively believes Hansu will marry her. Only when she gets pregnant and reveals she is carrying his child does she find out he is a married man who lives in Japan. Hansu, who has three daughters with his wife, wants Sunja to be his wife when he travels to Korea. Knowing this is not honorable, Sunja rejects his offer for a much easier life and stays with her mother while they struggle to make ends meet. Soon, she meets Isak, a Korean missionary on his way to Japan to help build a church. Isak is willing to marry her and does not even question who fathered her child. He selflessly wants to give the unborn child a name. They move to Japan where Sunja gives birth to a son. Unlike the first half of the book where the reader encounters characters living lives of quiet nobility, the second half is filled with vengeful and sexually depraved characters who wreak havoc. The writing is polished and author Lee offers beautiful imagery in her descriptions (“The sea was bluer than she had remembered, and the long, thin clouds seemed paler—everything seemed more vibrant with him here.”). But unfortunately, the characters go from Biblical in majesty to wreaking sensationalized tragedies. Lee spends too much time on the challenges of minor characters and transforms a few from kind and friendly to malicious in a single scene. The emphasis becomes Japanese racism of Koreans, depriving them of good careers and citizenship, despite their families having lived in Japan for generations. Lee never clearly explains what pachinko is, but I gather it is a gambling casino, one of the few jobs Koreans can work and make a decent living in Japan. By the end, the beauty of the story and its characters are lost and all the reader is left to contemplate is Japanese bigotry and foreign powers taking control of Korea itself, splitting the nation in half. Koreans in Japan no longer have their homes in Korea and those from the North who return end up starving to death. Thus, most have no choice but to endure the ongoing discrimination in Japan. An unsatisfying read after a remarkable beginning. Jane Friedman is a noted writer, editor, and speaker. She worked in the publishing industry for 20 years and now writes articles for Writer’s Digest and Publishers Weekly. Her newsletter, Electric Speed, gives updates on the writing world. Her website (https://www.janefriedman.com/) contains an abundance of resources. Friedman is upfront about what works and what doesn’t. 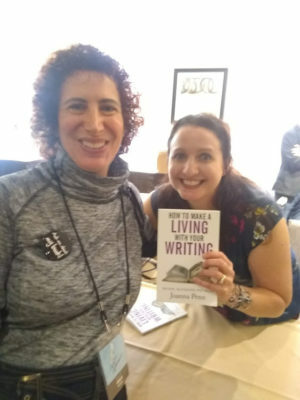 Her latest book, The Business of Being a Writer, gives honest information and doesn’t candy-coat the challenges of writing. She offers advice for both self-published and traditionally published authors. BookBaby (https://www.bookbaby.com/) is a self-publishing, book printing, and distribution company. They offer services to help an author publish, market, and distribute their book. There is a price for their services but they have a good reputation for helping guide authors. I haven’t used their services myself, but I did attend their writing conference in Philadelphia last year and listened as many industry experts gave presentations. BookBaby has also a newsletter. Alliance of Independent Authors or ALLi (https://www.allianceindependentauthors.org/) is an organization for self-published authors. I love their chart rating self-publishing author services. They also have a watchdog desk that monitors possible scams. They offer free booklets, discounts, and legal advice dealing with contracts and other issues. ALLi also offer free seminars. Independent Book Publishers Association or IBPA (https://www.ibpa-online.org/) is another organization that offers self-published authors services like discounts for marketing services and placement at book fairs and catalogs. They clarify the prevailing language and procedures in the publishing world and offer writing and marketing webinars as well as advocacy. The IBPA partnered with BookBaby at the Philadelphia conference I attended last year. Writer Beware (https://www.sfwa.org/other-resources/for-authors/writer-beware/) is an Internet resource I refer to often. I receive so much information from so-called publishers, invitations to submit to writing contests, and book marketing programs that the first thing I always do is go on the Writer Beware website to find out if they are legitimate organizations based on other writers’ experiences . If Writer Beware gives them a thumbs-down, I don’t bother to investigate them any further. I just want to add that while I struggle in my writing career, I still plug away. Like most writers, I know I have to be persistent if I hope to succeed. But these resources provide invaluable guidance in the writing field today. 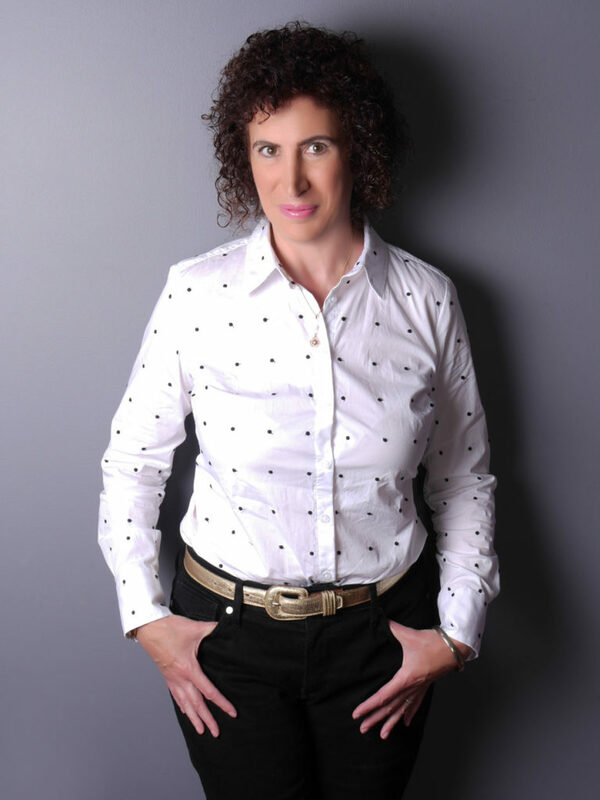 Idelle Kursman is the author of True Mercy, a thriller novel intended to bring awareness to two issues: families dealing with a loved one with autism and the human trafficking crisis. True Mercy is available on Amazon, IngramSpark, and Smashwords.